Holland’s leading comedian back to conquer English soil once again! 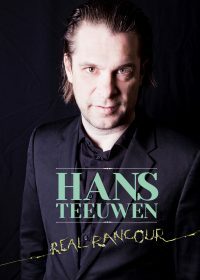 In his brand new show ‘Real Rancour’, Hans Teeuwen provokes and endears. Combining stand-up, clowning and cabaret, this Dutch comedian knows how to attract frenzied admiration from audiences.